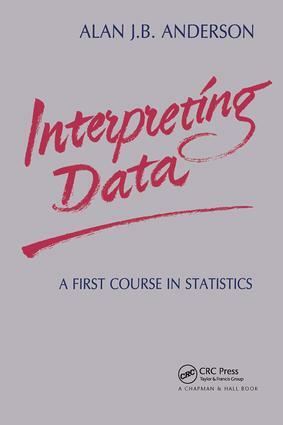 A grasp of the ways in which data can be collected, summarised and critically appraised is fundamental to application of the commonly used inferential techniques of statistics. By reviewing the criteria for the design of questionnaires, planned experiments and surveys so as to minimise bias and by considering research methodology in general, this book clarifies the basic requirements of data collection. This introduction to statistics emphasizes the importance of data - its collection, summary and appraisal - in the application of statistical techniques. This book will be invaluable to first- year students in statistics as well as to students from other disciplines on courses with a 'statistics module'. Non-numerated postgradates embarking on research will also find much of the content useful.